We want you to know, brothers, about the grace of God that has been given among the churches of Macedonia, for in a severe test of affliction, their abundance of joy and their extreme poverty have overflowed in a wealth of generosity on their part. For they gave according to their means, as I can testify, and beyond their means, of their own accord, begging us earnestly for the favor of taking part in the relief of the saints—and this, not as we expected, but they gave themselves first to the Lord and then by the will of God to us. Accordingly, we urged Titus that as he had started, so he should complete among you this act of grace. But as you excel in everything—in faith, in speech, in knowledge, in all earnestness, and in our love for you—see that you excel in this act of grace also. I say this not as a command, but to prove by the earnestness of others that your love also is genuine. For you know the grace of our Lord Jesus Christ, that though he was rich, yet for your sake he became poor, so that you by his poverty might become rich (2 Cor. 8:1-9). People often ask, “How much of my money do I have to give?” The New Testament never gives us the answer to that question. Why? Because “How much is enough?” is the wrong question. God doesn’t want our giving to be merely a duty; he wants it to be a delight. The apostle Paul was collecting money to help needy Christians in Jerusalem. In 2 Corinthians 8-9, he encourages the Corinthians to contribute to this collection. The Macedonians gave because they had an “abundance of joy” (v. 2). Christian joy comes from an appreciation of God’s grace. Paul actually calls their giving “the grace of God” (v.1). They gave because they had experienced God’s grace. “For Paul, the basis for giving to others is not what they have done or will do for us, but what God has already done for us in Christ. The foundation of giving is God’s grace” (Scott J. Haffmann, 2 Corinthians, p. 342). The gospel rebukes our stinginess and inspires us to be generous givers. In verse 3, the example of the Macedonians’ gives us three guidelines for giving. First, giving should be proportionate. The Macedonians gave “according to their means.” Second, giving should be sacrificial. The Macedonians gave “beyond their means” (cf. Mark 12:41-44). Third, giving should be voluntary. The Macedonians gave “of their own accord.” “Each one must give as he has decided in his heart, not reluctantly or under compulsion, for God loves a cheerful giver” (1 Cor. 9:7). The ultimate example of giving is Jesus Christ. “You know the grace of our Lord Jesus Christ, that though he was rich, yet for your sake he became poor, so that you by his poverty might become rich” (v. 9). 1. Christ became “poor” by giving up the glory of heaven in order to die on a cross. 2. We became “rich” by receiving the gift of righteousness through faith in Christ. Paul ends this section on giving by thanking God for his grace: “Thanks be to God for his inexpressible gift!” (2 Cor. 9:15). God’s “inexpressible gift” is Christ. Even if you give away all you money, you will never be give enough to equal what Jesus gave up for you. Do nothing from rivalry or conceit, but in humility count others more significant than yourselves. Let each of you look not only to his own interests, but also to the interests of others. Have this mind among yourselves, which is yours in Christ Jesus, who, though he was in the form of God, did not count equality with God a thing to be grasped, but emptied himself, by taking the form of a servant, being born in the likeness of men. And being found in human form, he humbled himself by becoming obedient to the point of death, even death on a cross (Phil. 2:3-8). There are many commands in Scripture (including commands about our relationships with others). Those who desire to obey these commands are motivated either by religion or the gospel. Think of it like a balloon. There are two ways to keep a balloon in the air. The first way is to repeatedly hit it upward. This balloon represents people who are motivated by religion. Religion continually “hits” you. “Stop doing this!” “Get busy with that!” Religion tells me what I have to do. The other way to keep a balloon in the air is to fill it with helium. This balloon represents people who are motivated by the gospel. When you have experienced the gospel, you are filled with grateful joy. The gospel is about what I get to do. You will never soar as a Christian without daily reminding yourself of the truth of the gospel. To the Philippians, Paul writes, “Do nothing from rivalry or conceit, but in humility count others more significant than yourselves. Let each of you look not only to his own interests, but also to the interests of others” (vv. 3-4). How can our attitude toward others be changed? By filling our minds with the truth of the gospel. The word “gospel” means “good news.” The gospel can be summed up with three words: problem, solution, and response. The problem is sin, the solution is Christ, and the response is faith. The gospel is a message about God’s grace. The gospel rebukes our self-centeredness and stirs us to love others. Paul connects love for others with the gospel: “In your relationships with one another, have the same mindset as Christ Jesus” (v. 5, NIV). 1. The one who is God became a servant. The one who was in the “form of God” took “the form of a servant” (v. 7). The servanthood of Jesus was dramatically on display during the Last Supper. He “rose from supper. He laid aside his outer garments, and taking a towel, tied it around his waist. Then he poured water into a basin and began to wash the disciples’ feet and to wipe them with the towel that was wrapped around him” (John 13:4-5). The disciples had refused to wash each other’s feet. Instead, they were arguing about who among them should be considered the greatest (cf. Luke 22:24). And so Jesus, the greatest one of all, performed the humble task. Donald MacLeod writes, “The conclusion to which this leads us is that the impulse to serve lies at the very heart of deity” (The Person of Christ, p. 215). 2. The one who is God became a man. Jesus was “born in the likeness of men” (v. 7). He added humanity without subtracting deity. He is the God-man. “Those who were causing concern in Philippi were suffering from vainglory. They were concerned about their image, anxious to make a good impression and keen to be recognized as people of consequence. By contrast, the one who really was Somebody put himself in a position where people completely misunderstood him and underestimated him. They looked, and saw nothing but a man. There was no halo, no glow, probably not even anything that made him particularly handsome or striking. Not a head would have turned as he walked. He looked utterly ordinary” (MacLeod, The Person of Christ, p. 216). 3. The one who is God was crucified. Jesus “humbled himself by becoming obedient to the point of death, even death on a cross” (v. 8). He became a man so that he could die. His death was the ultimate act of service. Imagine that the Prime Minister knocked on your door this afternoon and asked, “May I mow your lawn?” I’m sure you’d be shocked. But you’re probably right if you’re thinking, “There’s no way Stephen Harper would show up at my house wanting to mow my lawn.” But God himself showed up on earth and said, “I’m here to serve.” And how did he serve us? By dying on a cross for our sins. “The Son of Man came not to be served but to serve, and to give his life as a ransom for many” (Mark 10:45). Shouldn’t we be shocked by the grace of God? How can you and I remain self-centered when we understand what Christ has done for us? “Beloved, if God so loved us, we also ought to love one another” (1 John 4:11). In his book Gospel, J. D. Greear includes a four-part “gospel prayer.” The third part of the prayer goes like this: “As You have been to me, so I will be to others” (p. 109). If you’re a Christian—saved by the grace of God—this should be your prayer. God, you forgave all my sin, so I will forgive others. “Be kind to one another, tenderhearted, forgiving one another, as God in Christ forgave you” (Eph. 4:32; cf. Col. 3:13). God, you gave himself up for me, so I will make sacrifices for others. “Walk in love, as Christ loved us and gave himself up for us” (Eph. 5:2). God, you accepted me, so I will accept others regardless of our differences. “Welcome one another as Christ has welcomed you” (Rom. 15:7). If all you have is religion, you won’t have the right motivation for obeying God’s commands. You’ll always be thinking, “Do I really have to do this?” But if you daily preach to ourself the gospel, you’ll think, “I can’t believe what Jesus did for me!” And your obedience will be powered by desire. You will be filled the helium of the gospel: grateful joy. I am astonished that you are so quickly deserting him who called you in the grace of Christ and are turning to a different gospel—not that there is another one, but there are some who trouble you and want to distort the gospel of Christ. But even if we or an angel from heaven should preach to you a gospel contrary to the one we preached to you, let him be accursed. As we have said before, so now I say again: If anyone is preaching to you a gospel contrary to the one you received, let him be accursed (Gal. 1:6-9). Today is Mother’s Day. Imagine that I gave a Mother’s Day gift to my Mom and said, “Mom, today is a day when people are expected to give a gift to their mother, so here’s a gift from me to you.” How do you think she’d respond? She’d probably think to herself (because she’d be too polite to say it), “Well, if he’s only giving me this gift he feels he has to, it really doesn’t mean much to me.” When a gift is only given out of a sense of obligation, there is no joy for the giver or the receiver. In our culture, giving your mother a gift on Mother’s Day is considered by most people a duty. But for the person who truly loves and appreciates his or her mother, giving her a gift is also a delight. Religion makes obedience to God merely a duty. (I am defining "religion" as the attempt to gain acceptance with God by one's good works.) But the gospel makes it a delight. Religion is about what I have to do. The gospel is about what I get to do. The word “gospel” means “good news.” The gospel can be summed up with three words: problem, solution, and response. The problem is sin, the solution is Christ, and the response is faith. We are all guilty of sin, but God made a way for us to be made righteous (innocent of sin) before him. “For our sake [God] made [Christ] to be sin who knew no sin, so that in him we might become the righteousness of God” (2 Cor. 5:21). Christ “suffered once for sins, the righteous for the unrighteous, that he might bring us to God” (1 Peter 3:18). The Christian does not have “a righteousness of [his or her] own that comes from the law, but that which comes through faith in Christ” (Phil. 3:9). The gospel is the good news that justification (being declared righteous by God) is received as a gift, not earned by human effort. It is possible only because of God’s grace. Christ “was delivered up for our trespasses and raised for our justification” (Rom. 4:25). J. D. Greear writes that justification by God’s grace “means that God could not love me any more than He does right now, because God could not love and accept Christ any more than He does, and God sees me in Christ. God’s righteousness has been given to me as a gift. He now sees me according to how Christ has lived, not on the basis of what kind of week I’ve had" (Gospel, pp. 46-47). In Paul’s letter to the Galatians, he rebukes the Galatians for drifting from the gospel to religion, from grace to law. They were listening to false teachers who were claiming that Gentile believers had to follow the Old Testament law in order to be justified. In Galatians 1:6-9, Paul confronts this error, by emphasizing two vital truths about the gospel. 1. There is only one gospel. Paul writes, “I am astonished that you are so quickly deserting him who called you in the grace of Christ and are turning to a different gospel—not that there is another one, but there are some who trouble you and want to distort the gospel of Christ” (vv. 6-7). There are many versions of the gospel, but there is only one true gospel. A “different” gospel is a false gospel; it’s a distortion of the gospel. 2. There is nothing more important than the gospel. By turning from the true gospel, the Galatians were “deserting him who called [them] in the grace of Christ” (v. 6). 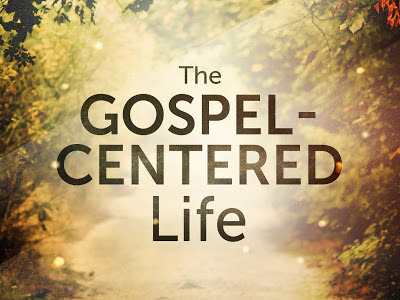 “Getting the gospel right is of the highest possible importance because straying from that truth is literally deserting God himself” (Tim Smith, "What It Means to Live a Gospel-Centered Life"). The good news is that we are not saved by religion, but by God’s grace through faith in Christ. “To be gospel-centered means to focus on Jesus, who he is and what he has done, not on who we are and what we have done or will do for God” (Justin Holcomb, "What Is the Gospel?"). Religion produces pride (“Look at me!”) or fear (“Does God really love me?”). The gospel produces grateful joy (“God loves me! Look at what he did for me!”). Religion tells you what to do; the gospel gives you power to do it. “The gospel produces not just obedience, you see, but a new kind of obedience—an obedience that is powered by desire. An obedience that is both pleasing to God and delightful to you” (J. D. Greear, Gospel, p. 18).